Manchester City captain, Vincent Kompany has spoken of his happiness at playing his first Champions League game for 650 days. The Belgian international has been troubled by injuries in the past two years but looked solid as The Citizens defeated the Swiss outfit 4-0. City defeated Basel away in Switzerland in the first leg, a 4-0 drubbing that all but secures their passage to the quarterfinals. He has been fully fit since mid-November but has been eased gently into the side by Pep Guardiola. Kompany insists to be able to play football at any level is good news for him, even if it involves kicking the ball with his children at home. Goals from Bernardo Silva, Sergio Aguero and a brace from Ilkay Gundogan put City in the driving seat for the last 8, and help them in their quest to win the competition for the first time. Manchester City boss, Pep Guardiola needs the experience and trophy-winning pedigree of Kompany to lead his teammates over the finish line. City are favorites to defeat Arsenal in the Carabao Cup Final as well as win the league, but it is the Champions League that matters most to the Abu Dhabi owners. 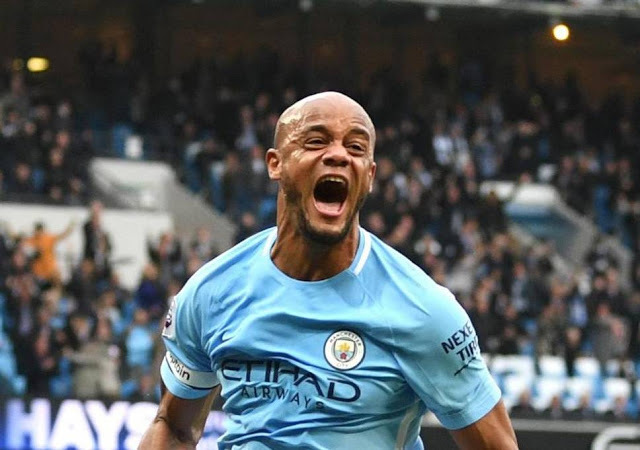 Kompany, some three years ago, was one of the best central defenders in the world and is still up there with the very best as his leadership, quality and ability to galvanize his teammates are important to City’s quest of winning the Holy Grail. He joined City in 2008 and has since gone on to make over 300 appearances for the Citizens.